These days there is a lot of focus on silicon injection molding as a way to make money with plastic molding. The most common molding method is, of course, injection molding of thermoplastic materials, such as nylon, polypropylene, polycarbonate, or ABS materials. With so many new medical devices coming on the market, silicon injection molding has become somewhat of a rising star in the industry. 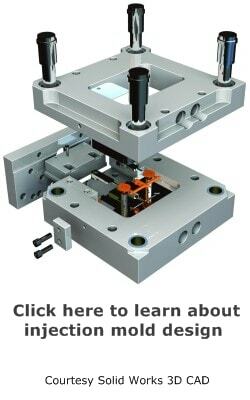 Many custom molders are interested in diversifying their customer and product base, and look to silicon as a good possibility. Silicon injection molding requires special plastic molding supplies, different technologies and operator training. There is a steep learning curve involved and the tolerances are very tight. Material is inert, which means it is harmless to the human body. This makes it the material of choice for many medical and food applications. Very good electrical insulator. The electrical appliance and electronics industries rely heavily on seals and gaskets made from LSR, liquid silicon rubber. Though the LSR is a theromset material, which means it cannot be recycled, it is much safer for the environment than most thermoplastic materials. With the increased performance requirements of finished articles, silicon fills the need well. Fits in well with high levels of automation and productivity. The injection molding process of silicon is quite different than that of thermoplastic products. 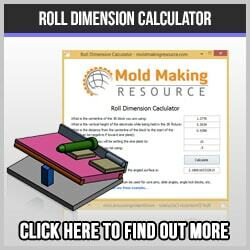 This can be very confusing and frustrating for custom molders who are used to molding thermoplastic materials. For one thing, the mold is heated, not the material. This is exactly opposite that of nylon or lexan, for example. At first it seems very odd to inject cold material into the mold and let it vulcanize, but this is exactly what happens. It can be compared to baking a cake. You pour the cold batter into a hot pan and it rises until it fills the pan, making whatever shape the pan is. It is for this very reason that silicon flashes so easily; it wants to keep expanding in order to fill out the cavity. Another difficulty in molding with LSR is the fact that all the parameters must be exactly right; there is very little wiggle room for adjustments. Once the sprue, runner and cavity are filled with expanding silicon, there is little you can do to tweak the process. If it cures without being ejected, it might take hours to clean out the mold. The same holds true for the barrel in the molding machine; if it sets up in the barrel, you may very well have to disassemble everything in order to clean it. Material changes also can be much more labor intensive than with thermoplastic materials. LSR, liquid silicon rubber, is a high performance material used in electrical, electronic and medical applications. For the plastic injection molder, it represents an opportunity to diversify and expand the customer and product base. The technical processes involved in silicon injection molding are substantial and demand a high level of commitment with a large learning curve. For the custom molder who perseveres, the benefits can be many.